I’ve a confession to make: I am a pyromaniac. I simply love fire. Waaaayyy too much. Now, I don’t go to the point of stupidity with this obsession, but I do find myself drawn to fire like a moth to a…flame. Ahem. This 4th of July, my family and friends were very surprised to find a nice fireworks display occurring outside the house, just a little down the street. Surprised, because these fireworks were pretty impressive given the amateur nature of the production; over an hour of explosions from at least 4 different sources. Oh yeah, and fireworks are illegal in my state. The blast at the beginning totally took me by surprise. BOOM! At this point, we were starting to get a little punchy. (Okay, punchier than normal.) What you can’t see is that there are 7 of us on an old wooden dock- 3 teen boys determined to see the fireworks up close and personal, the father of 2 of those boys, me, my best friend (who was telling me a fireworks story), and her brother (who is on crutches following surgery). Near the end of the video, a mis-directed rocket landed less than 10 feet behind us, thus the gasping and hasty retreat! I will say, it was hard to be that close to the launch pad and not run over and light a fuse myself. I tend to be very eager to work with fire: I’m good at building fires in the fireplace, I love having candles around, and the smell of matches makes me happy! 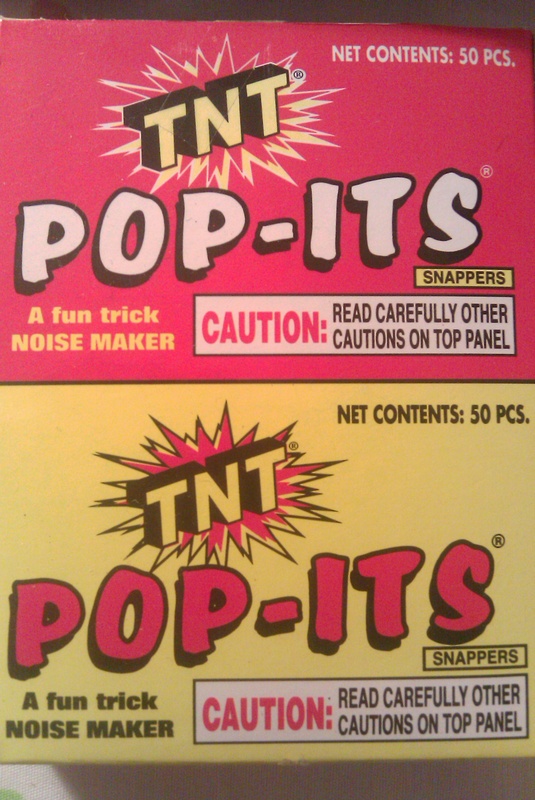 I can also be a bit ditzy with fire, like the time I inadvertently let 300 “Pop-Its” sit by a lit candle for hours. Erm, not my brightest life-moment. But man, the explosion would have been pretty cool! Anyway, that’s just a peek into our night. It’s also a little different for me to video blog so if you like the change of pace, drop me a comment.